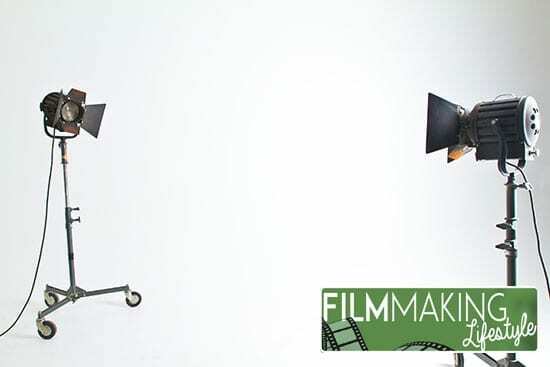 Want to know how to have success in your filmmaking career or video business as fast as possible? You need to remove any barriers to success. The X in their questions nearly always boils don’t to being some kind of modern distraction that’s sucking time out of their lives — watching TV shows no stop, video games, drinking, drugs, gambling etc. People say you need balance — but, that can come later after you actually have a life to balance. I see so many people stuck on addictions like going out and partying all the time, binge watching TV shows, playing video games for hours, etc. Now, this is some pious rant with a religious undertone. It’s not about trying to live a “pure” life. It’s about living a productive life. I’m just calling it the way I see it. I mean, really, video games is not the life people want. They just spend time doing it to get a dopamine bump, or to stop looking around at their life that is far below what they want. These things are robbing people of their productivity. So, unless video games and donuts are actually how they want to live, they should cut them out completely. When something is wasting time — get rid of it. That’s what I tell people when I get emailed that question. Managing oneself is the absolute greatest challenge. All the tactics of business are easy. Success is all in our heads. So, first is cut out absolutely anything that is not what you ultimately want. Just get rid of it. If there are people in your life who are below what you want and just not the quality of people you want to really be around, cut them out too. It may sound brutal, but you can’t let toxic people destroy your life, too. We all have the constructs of life that we have created to support where we currently are. Well, if we are not currently where we want to be, we must replace that construct with a new one. People are first and foremost what you want to look at in your life. Are these the kinds of people who will support you and help you grow? TV streaming services like Hulu and Netflix. Get rid of mindless entertainment. Stop watching sports and movies. YouTube sessions where you end up glued to the screen and lose hours to watching junk. Anything else that robs your time. Now, stop right there! I’m sure I’ve triggered a few knee-jerk reactions here already! This doesn’t have to be a forever thing. Just remove these things whilst you make progress. You can always add them back in slowly later. And, in lots of cases, you might find that you have no need for them in your life anymore. At least until you are making progress toward life goals. Get rid of absolutely all stimulation that is not geared to success. Those are the first steps. Cut things out and then slowly add them back in when you’re making progress towards your goals. If you can’t do it at home, start going to a co-working space or coffee shop. Write a list and make a commitment that you will not allow yourself to leave unless that list is done. Get concentration extensions in your browser that block certain time wasting sites. Add a partner on as the admin of your content settings. People have to treat time-wasting as an addiction. Because it is. Replace the time wasting addiction with a success addiction. This can be a brutal process. But if you have ever seen a drug addict go through recovery, you know these things can be hard. The problem is that our modern time-wasting addiction is considered acceptable because it’s not like your crops are going to fail and you will starve. Isolate yourself from all stimulation daily until your real work is done. And then after, don’t give in to cheap thrills like video games and donuts. Unless you are pursuing a career in gaming, put down the games and make your dreams come true. Anything or anyone that gets in your way of reaching your goal – cut it out. I mean out. With extreme prejudice. Stop being entertained with your shows and movies. They are doing long-term damage. they are giving you a dopamine bump and the satisfaction lasts into the next day. Go into monk mode. Do absolutely nothing that doesn’t lead to success. This is going “cold-turkey” like an addict. Maybe one day you can get some back. But for now, if you are struggling with alcohol, throw it out. If you are struggling with time wasting — get rid of everything that wastes time. I know most people won’t do this. Some people might even be offended that I’m even suggesting this sort of self-discipline. And, that’s what it is — disciplining yourself to achieve maximum success. Dopamine. This is the answer. Dopamine is the pleasure seeking hormone. It makes addicts destroy themselves. Controlling your supply of Dopamine is an essential skill. You have to have it. You must have it. Your body will drive you into almost any situation to get it. Your games and junk food cause Dopamine surges. Cut the games. Cut the junk. Get your Dopamine from succeeding. It will be difficult. Meditation can help. Create an environment where your only joy is working and making things happen. Another email that I get often from readers is people seeking general motivation in this journey. Often these emails talk about judgements from society, about how some people think they ‘should’ or ‘could’ be something. Or be doing something differently. There are a lot of judgements out there. About you. About what you’re doing. And about how you’re doing it. There’s also pressure. From society, from family, from friends and colleagues. Judgements only serve to disempower you and keep you stuck in a rut in a world that’s defined by those around you. ‘Lazy’ is a judgement and is not actionable. ‘Could’ be working is a judgement. There is no deserving. We don’t get what we deserve. We get what we earn through our actions and the resulting value we create for others. You don’t deserve anything. You earn everything. Either you took the necessary actions to create the conditions you desire, or you didn’t. You have the same 24 hours in a day that I and everyone else on the planet has. What you choose to do with those 24 hours is entirely up to you. Are your choices serving you well? Do you feel happy, fulfilled and content with what you’re doing, with the path you’re on? If so, carry on. You, and only you, can provide an answer to the question you’ve posed yourself. It’s either a Yes…or it’s a No. If it’s a No, see Question 2. Do you get more pleasure from fantasizing about ‘the good life’ or do you actually want to live it? Again, leave judgment out of it. There is no ‘good’ or ‘bad’, ‘right’ or ‘wrong’ way you ‘should’ be responding to this inquiry. This is all sounding quite Buddhist, no? There is only what is so. You want what you want because you want it. Period. Again, leave the judgement out of it. Everything in life is simply a matter of priority. And every choice has a resulting consequence. The consequence is neither ‘good’ nor ‘bad’ it just is. Today, you are living the product of the choices you’ve made to date. Next, get busy DOing the steps! In life, you can have Progress or you can have Excuses/Reasons — you can’t have both. Compounding isn’t just a term used in finances. You can compound the improvements you make to your life on a daily basis. The power of compounding is a powerful force — probably the most powerful force you have available to you in this moment, without having to even ask for it. The sooner you get started using its power to your advantage, the better off you’ll be. Once a minute of compounding is gone, it’s gone forever. And with it, so goes any benefit to be gained from it. Compounding applies to your Time, Money and Health. How you choose to spend or invest your time today determines the rewards you will reap in the future given the power of compounding. How you choose to spend or invest your dollars today determines the rewards you will reap in the future given the power of compounding. How you choose to spend/invest in your health today determines the quality of the life you will lead tomorrow. Again, please understand that how you choose to spend/invest your time, health and your money today will yield the consequences that you will get to live tomorrow. This ‘tomorrow’ is neither good nor bad, it just is the result of the choices you’ve made. So, it’s a bit like having the answers to a quiz before you sit down to take it. No matter what you choose, life rolls on. Soon, it will be 5 years from now. Consider choosing your regrets carefully. Do you want to regret not playing more video games, or do you want to regret not creating a business that has allowed you to leave your day job? Everything is always and only a choice, and the choice is yours and yours alone. Depending on what actions you choose after doing so, it may prove to be a very worthwhile investment of your time. I hope you’ve found this guide to removing some of the barriers to success in your filmmaking career very helpful. And, if you ever feel like it: Don’t quit! 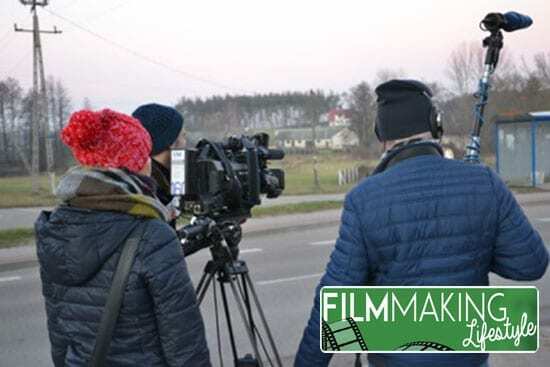 This idea of success in filmmaking and video production being hard is your current perception because you are overcoming your personal barriers. Don’t change direction — keep going doing the same thing until it pays. I used to feel it was very hard also. Now it is much easier. Once you reach a certain point, it gets better. Keep going! I must say you have very interesting posts here. I’m working on my barriers and personal issues it seems like a long road. this post (and others) have helped put things in perspective for me. i’m going to take the world by storm in 2017! That’s great to hear, Sabrina!